Another month over, Another favourites post! 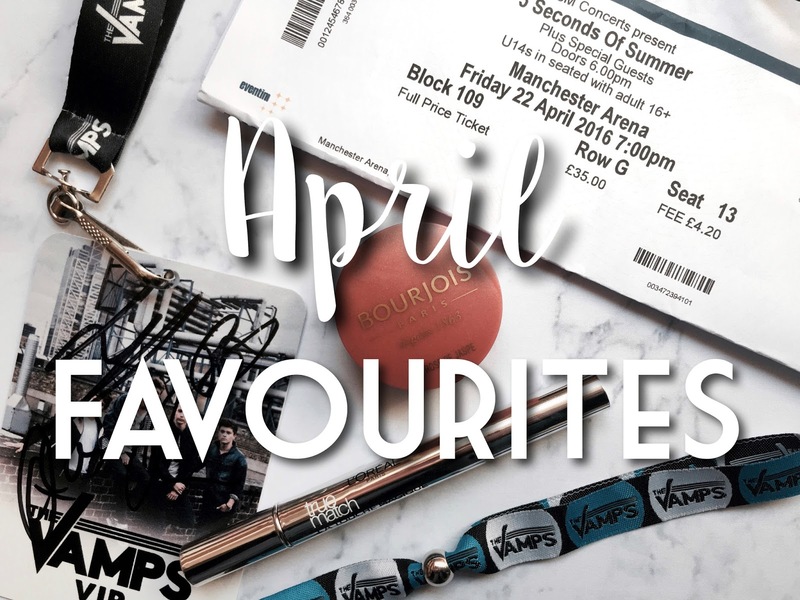 Today it's time for me to post my April favourites! Believe it or not, I had never tried anything from the drugstore brand Bourjois until this month, when I decided to pick up one of their blush pots in the shade Rose De Jaspe. The shade range of their blushes is incredible, and the one I chose is a really pretty pink which adds a lovely rosy tint to my cheeks. Their packaging is so cute too so this has been a firm favourite of mine this month. I also picked up the L'Oreal La Touche Magique concealer this month. So far I have been really enjoying it because I have been looking for a new concealer for a while, and this one is a lot less orange toned than my Bare Minerals one. I have it in the second most lightest shade, which is perfect for covering up blemishes. 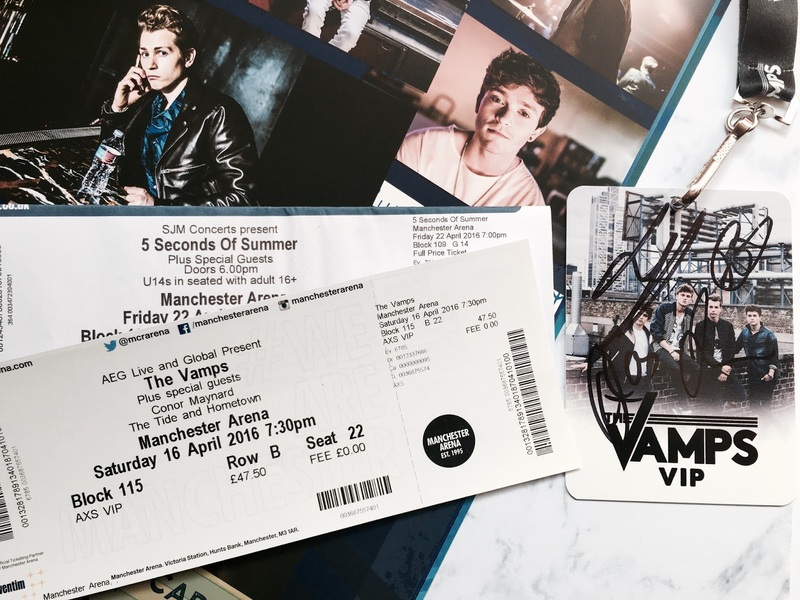 Music wise I was lucky enough to go to two concerts in one week, both of which I have done reviews about - The Vamps and 5 Seconds Of Summer. Of course to get me excited for the concerts, I have generally only listened to them this month! They were both incredible live and I enjoyed seeing them so much. I've not been to a concert for over a year, I'm very jealous of you! 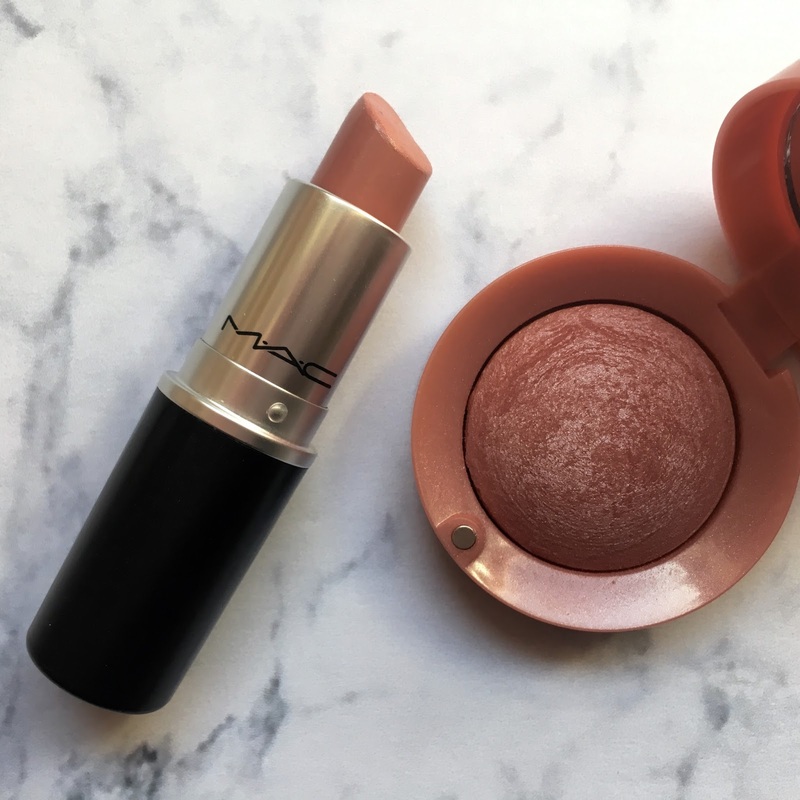 The blush and the lipstick are really pretty! I really want to try something by Bourjois too :) but I can buy it only online !